Want to help end Brighton & Hove Council’s use of toxic pesticides? 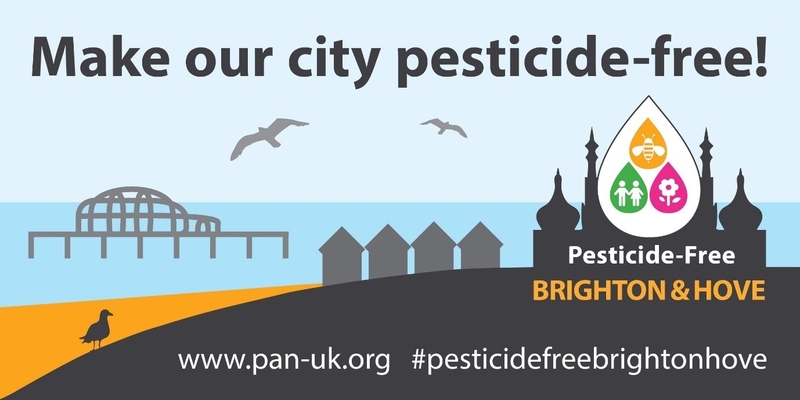 Local organisation PAN UK have launched the Pesticide-Free Brighton & Hove campaign ahead of city-wide council elections on 2nd May. The campaign asks candidates to pledge to end the Council’s use of toxic pesticides in our public spaces including parks, playgrounds and pavements and around hospitals, shopping centres and schools. Urban pesticide use is unnecessary. It’s bad for human health and the environment and there are plenty of councils in the UK that have already switched to non-chemical alternatives.